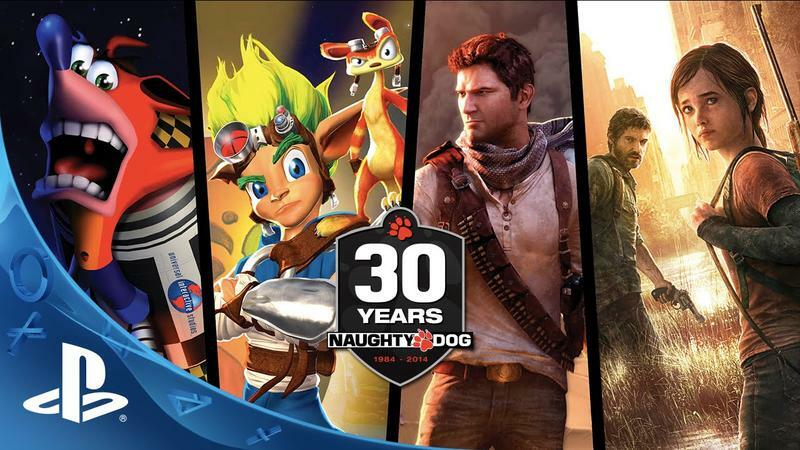 It's absolutely crazy to think that Naughty Dog has been making video games for 30 years. Under the PlayStation banner, this studio brought us Crash Bandicoot, Jak & Daxter, Uncharted and The Last of Us. Naughty Dog is now about to celebrate its 30th anniversary with an art show. Eric Monacelli, Community Strategist at Naughty Dog, took to the PlayStation Blog with the video you see above and some information regarding the show itself. This is only a tease of the unbelievable stories and rich history told in the full length 30th anniversary video. We're delighted to announce that our art show and celebration, A Tribute to Naughty Dog: 30th Anniversary, at Gallery Nucleus will be the first place you'll be able to watch the full-length video during special screenings held October 4th and October 12th, 2014. The complete video will be available online sometime in the next month as well. The art show itself kicks off September 27th. Opening night will be full of fun, including a photo booth area, cosplay, a birthday cake, special guests, and the opportunity to get some very cool merch such as The Art of Naughty Dog art book. Special workshops in concept and character art featuring artists from our studio will be held October 4th and October 12th. We'll absolutely post the full story video when it goes up in October. Based on the promo above, it should actually be a pretty interesting piece. What are some of your fondest Naughty Dog memories? For me, I'd say the amount of time I dumped into the first Crash as a kid was pretty huge.